As news of the deadliest mass shooting in history spread, the White House, presumptive U.S. presidential candidates, and celebrities all took to Twitter to condemn the crime and share their sympathies. 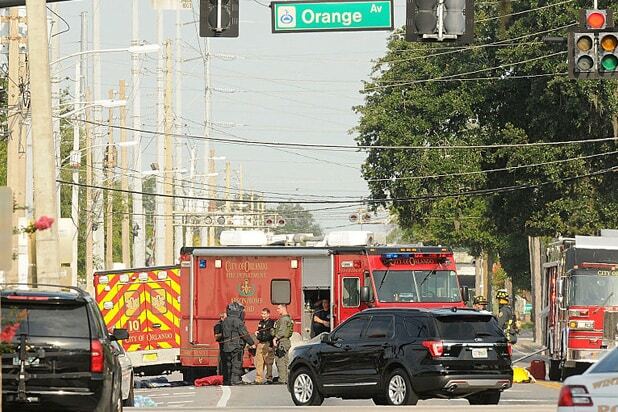 50 people were killed and 53 injured early Sunday morning in a mass shooting at the Pulse nightclub in Orlando, Fla. A male gunman opened fire on the crowded nightclub with an assault rifle, sending patrons fleeing. The suspect was killed after engaging with S.W.A.T. CNN has identified the suspect as Omar Saddiqui Mateen. “It’s horrific, it’s unthinkable,” Senator Bernie Sanders said on Sunday’s “Meet the Press.” Other politicians weighed in. Meanwhile, celebrities expressed their horror over the worst mass shooting in U.S. history. Oh wow. Devastating news.Praying for the victims of the shooting in Orlando and their families.Heartbreaking and senseless.I am so sorry.???????????? I am sickened to awake to the horrific news out of #Orlando. Smiling, happy, dancing people gunned down for no reason. Hug your friends. ❤️???? Unbelievable tragedy in Orlando. Praying for the LGBT community and all communities affected by this. This gun violence HAS to stop! Omg how sad. What an effed up world. We better be thinking carefully about this election. So scary. This morning stop and take a moment to pray for those in Orlando.